Since 2008, we’ve delivered more than 16 million copies of the patent Docket Report to attorneys, judges, and other litigation professionals. Today, more than 14,000 professionals receive the Patent Docket Report every morning, and they have created more than 90,000 custom daily alerts. 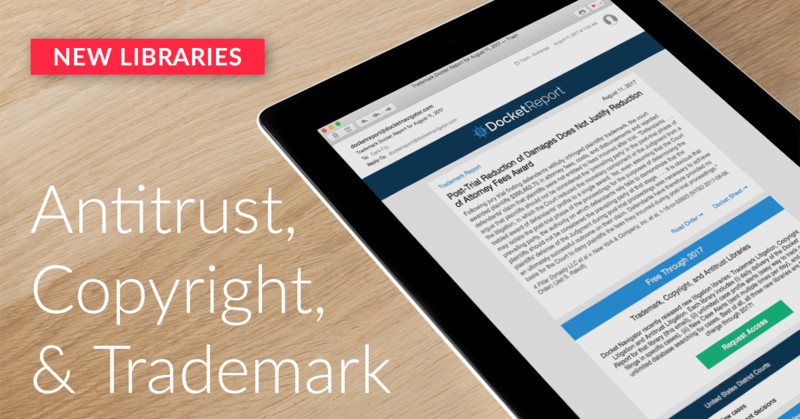 We are pleased to announce that these popular features are now available for trademark, copyright and antitrust practitioners! The Docket Report – New case summaries with parties, attorneys, and law firms, with free links to the docket sheet and pleadings. 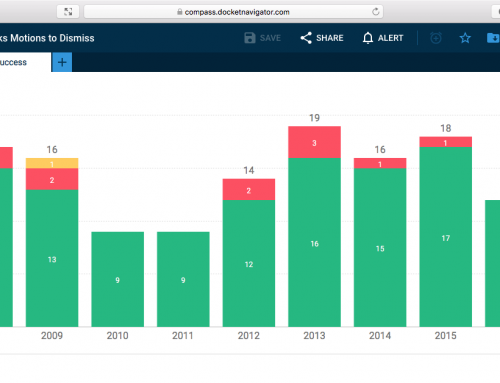 The Docket Report also includes professionally curated summaries of every significant decision in every case with free links to the underlying orders. New Filings Alerts – Receive daily emails when new documents are filed in cases you select. New Case Alerts – Receive email alerts when new cases are filed. Sent multiple times daily.